Stock Number and Description Dragon Kit No. 7363 Tank Crew + Panther Ausf G.
Media and Contents: 230 mid-grey plastic parts on six sprues plus the lower hull loose, 18 PE parts on one fret, 2 lengths of DS 100 track, 2 lengths of metal wire cable, decals for 4 vehicles plus a 3 page fold-out instruction sheet with parts plan, 14 photo type build diagrams, 4 large figure build/paint diagrams and paint/decal instructions for the tank.. 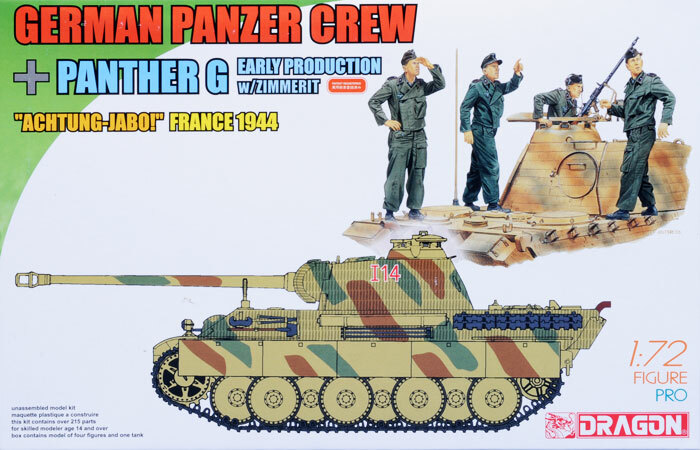 Advantages: 4 figures on a par with Preiser, the best Panther kit on the market with Zimmerit and PE and DS 100 tracks. Disadvantages: The worst instructions Dragon has ever produced, flash and mould misalignment on some older parts, inadequate painting instructions for the figures. Recommendation: At last, Dragon are doing figures in 1/72 scale with relevance to their armour models and you get a free tank kit to boot. Dragon has recently released some figures in 1/72 scale in the form of tank riders. I haven't seen them in the flesh but I'm told, like this Tank Crew Kit, they are very well done. The problem was, while you got two identical sets in each box, you had to buy two kits to get the full set. I believe it was two sets of three in one kit and two sets of four in the other and of course, you ended up with two King Tiger models whether you wanted them or not. I never bothered to purchase either of the tank rider kits but tank crews are another thing. I'm a firm believer in having crews on my models because I think it give a sense of scale to them and I know many agree. So, when this kit was announced, I just had to run out and get one. The fact that it comes with an early production Panther Ausf G with Zimmerit was an added bonus. Entitled “Achtung-Jabo”, I think it's a down scaled version of their 1/35th scale kit of the same name with all four figure posed as if they have just spotted an enemy Ground Attack Fighter. With all four figures on the one sprue, it is not numbered or lettered but the figure parts are and this allows the correct arms, legs and heads to to be attached to the correct torso giving the poses in the instructions and box-top. Whether the parts can be mixed and matched for other poses remains to be seen. The mould quality is extremely high, as good as, if not better than Preiser which after all are the bench mark in this scale. The Panther, being the most accurate in small scale with very nice Zimmerit in all the right places is kit No. 7252 as issued about twelve months ago and completely unaltered with the figure just added on. This means you get those god awful photo type build instructions that Dragon played with for a while but have thankfully gone back to line drawings. 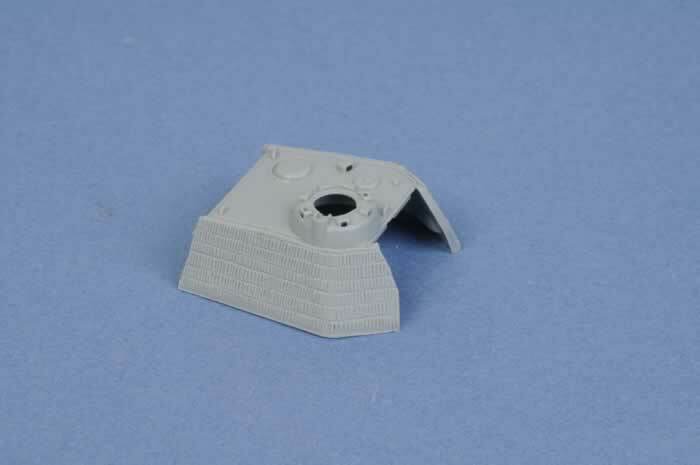 The “C” sprue is straight out of the Jagdpanther kit which was one of their earliest 1/72nd scale offerings and had some mould alignment problems which still remain. Also on this sprue is the wrong engine deck, it's a late one and should be early, a problem that has been around far too long especially as they've made it a separate part. Okay, that's some of the bad bits but this kit has many good bits too. The original small scale Panthers put out by Dragon had die-cast hulls and the fit was dreadful. 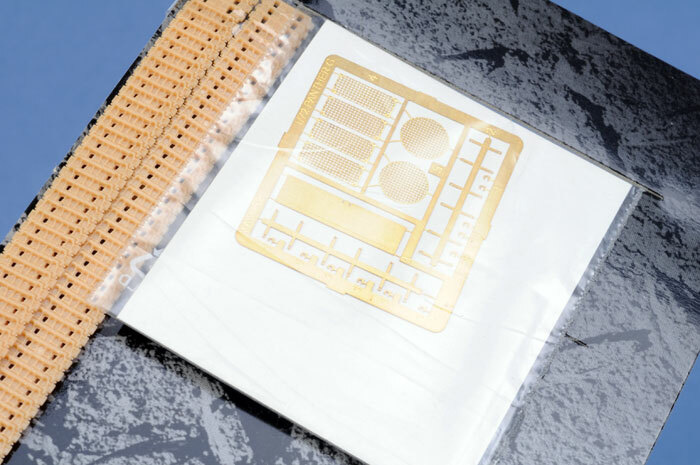 This has been replaced by cleanly moulded plastic which fits together perfectly and also eliminates the need for alternative glues. Those black rubber band tracks have also gone, replaced by DS 100 tracks which although still rubber bands are almost as good as link and length. Then there is the Zimmerit. Yippee! Oddly, there is a sprue marked “GA”. 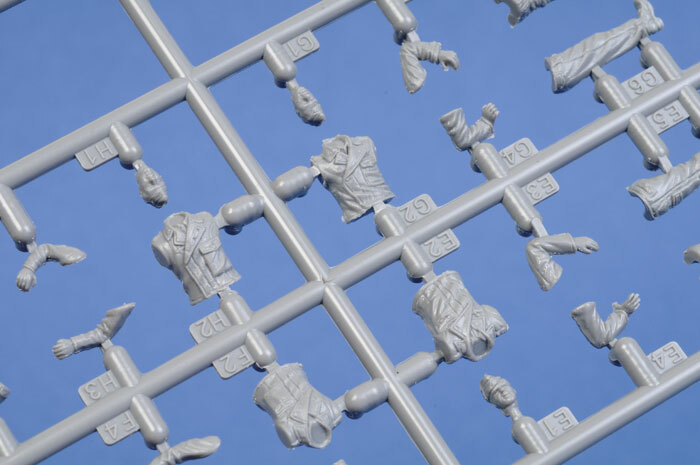 This sprue has a host of figure parts such as water canteens, trenching spades, pistol holsters, ammo packs and the like. Only one item is mentioned in the instructions and thats the one pair of binoculars held by one crew member. It's a bit of a mystery to me exactly what the parts are let alone what you are supposed to do with them. 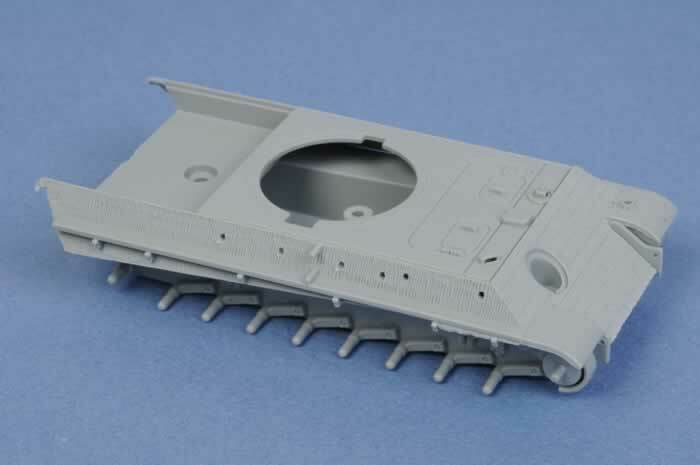 There is a PE fret included with engine deck screens and spare track link holders for the rear hull sides and decals for four vehicles nicely printed by Cartograph. Tank Crew figures are always welcome in 1/72 scale. I just hope Dragon do more with different poses and nationalities to go with some of their other excellent kits. Now, what about some British Crews and an early DV Sherman?